Before we enter the “compare and contrast” discussion for this topic, we must be absolutely clear that this is not a ‘good versus bad’ comparison. Bible Study in a group setting (or independent using theologically sound resources) is valuable and serves a good purpose for deepening the faith of any believer. Bible study should be a part of each Christian’s life as they seek after God and His Will. 1. Seminary provides a stated, specific Scope and Sequence for education; Bible study can bounce from topic to topic, testament to testament with or without logical flow. Seminary coursework is formatted to lead the student on a journey down a well-planned pathway. All appropriate areas are addressed and extraneous detours are avoided through a schedule and/or syllabus. The student is taught in a reasoned, logical order – precept upon precept – leading to a complete understanding of the topic/subject. Through advisors, counselors and professors, a Seminary student is kept on the proper pathway to scholarship (and deeper understanding of God and His Word). The benefit of a defined series of courses is that the student is able to stay on course to a destination. 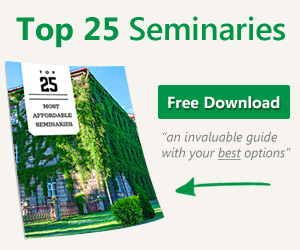 In short, Seminary education is direct and pro-active. Bible Study can have a clearly defined path for deeper understanding of God’s Will – but it does not have to (and often doesn’t). A good Bible Study will delve into a book or a specific topic, but this is typically in a vacuum without the benefit of additional context or external application (to the degree that a Seminary course would include). A Bible Study will respond to the selected text and applications are culled from the information. To summarize, Bible study is reactive. 2. Seminary has clearly stated parameters; the risk of going “off into the weeds” is minimal; Bible Study do not include guardrails, leaving vulnerability for bad Doctrine. Close on the heels of a defined Scope and Sequence is the clear demarcation of boundaries. Seminaries review, analyze and vet materials (and professors) to guard against fallacious teaching and coursework as well as prevent modern thought and new ideas from dominating the curriculum. Over the course of late 20th century church history, psychology has been given more time and space as a valid pursuit; leadership styles and giftedness have squeezed out more traditional tools for evaluation of leaders (both ordained and lay). Seminary’s stability of coursework includes boundaries that help keep a student’s focus proper – less likelihood of ‘going off the rails’ theologically or becoming distracted by minor issues. Seminary not only marks the pathway, it provides boundaries along the way. Bible Study can fall into rabbit trails and distracted discussions. While cultural significance can be relevant to the discussion and important, it should not consume the entire study – or lead it far off track. Bible Study can also be hijacked by a strong personality and taken in unintended directions. Without stated (and/or historical) boundaries, the trail can become winding or meandering. 3. Seminary provides a specific purpose or goal; Bible Study is valuable for general purposes, but does not include a clear target. A Seminary degree is a stepping stone along a specific path or life course. Graduates have a goal in sight (pulpit ministry, counseling, missionary work, etc.) and Seminary was vital to reaching that goal. A Seminary degree reflects a specific, measurable and achieved goal. Bible Study has the broad goal of strengthening faith, encouraging the believer, adding depth to worship and/or steering attitude and behavior (there are others). These are all good goals, but they are general in nature – hard to quantify – and difficult to measure. 4. Seminary provides exposure and access to Bible and Theology Scholars from whom wisdom and insight is imparted to the student; Bible Study can be led by a lay minister with minimal training or experience. 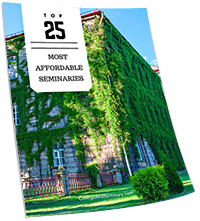 Seminary is staffed with professors who know their topics, have studied extensively and been tested and proven to be scholars in their field. Further, they are dedicated to the preparation of the next generation to lead the church and culture into a closer walk with God. They are singularly focused on their scholarly work and seek the enrichment and education of their students. There are a great many solid, educated and experienced Bible Study leaders. Generally, they are the rarity. More common is the bi-vocational teacher (who can be distracted by ‘tent-making’) or part-time instructor who dedicates spare time to Bible Study leadership. There is often no vetting of a Bible Study leader; anyone with an interest and time can take on a group. Scholarship is not a firm requirement for a Bible Study, therefore the effectiveness of the study can vary. 5. A Seminary degree includes a network of support, guidance and counsel; a Bible Study does not. A Seminary graduate has an entire school (faculty, staff and library) at their disposal. Relationships are forged in Seminary that can last a lifetime and career. Those relationships (peer and graduate-professor) can provide a good resource for assistance, counsel and information when needed. Such a network of support is not generally available to the Bible Study leader. In conclusion, Bible Study is a valuable and necessary part of a Christian’s life; however, it does not outweigh or replace the benefit of Seminary in the career of a minister, missionary, counselor or other church leader.